Downer needed to significantly increase its capacity to provide the quality of design and turnaround times required by Chorus for the roll-out of a national Ultra Fast Broadband system. Downer needed to provide greater capacity to its water system maintenance technicians to enable them to spend more time working productively in the field and less time returning to base to source information. Downer’s health and safety policy involved time-consuming paper work completion by field staff, which also made identification of incident trends unwieldy and unreliable. Downer needed a way to see where its field staff were located in real time and to integrate information from other emergency management services to be able to respond in a more timely, effective manner. Downer implemented GRAIL, an ArcGIS-based solution, which increased the speed of design turnaround times and provided higher quality design for fibre networks. This increased returns for Downer and met its clients’ requirements for a successful UFB national roll-out. Downer maintenance technicians in the field access mobile mapping with Collector and are therefore less reliant on operation headquarters and can be more accurate about identifying where and what is causing a water problem. Health and safety incidents are captured automatically with mobile recording data tool Survey 123, minimising the time staff spend returning to the office to complete paperwork. Incident trends can be identified more effectively and faster. By using Operation Dashboard Downer could immediately monitor visually where all of its field staff were working and deploy the closest personnel to respond to emergencies. Based in New Zealand and Australia, Downer is a leading provider of services to customers in markets including: transport, technology and communications, utilities, engineering, construction and maintenance (EC&M), mining and rail. 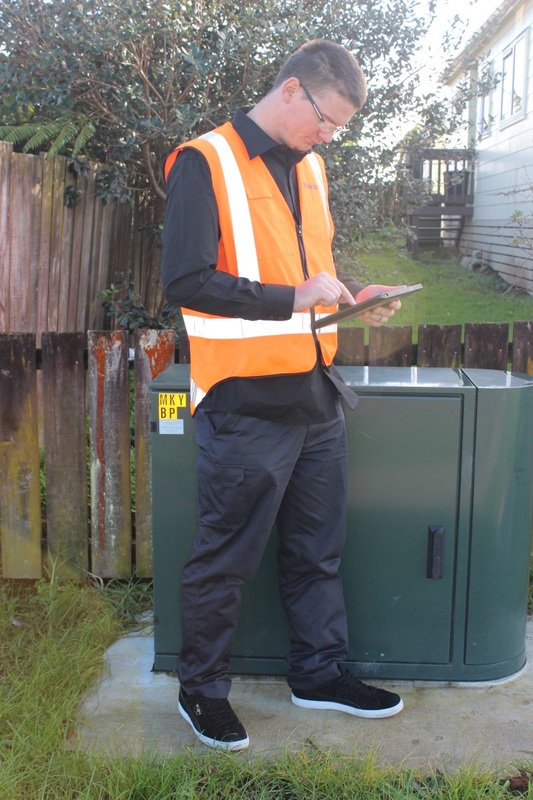 Downer had won a significant contract with Chorus to design and plan the Ultra Fibre Broadband (UFB) network being installed by Chorus across New Zealand. Chorus is New Zealand’s largest fixed line communications infrastructure services provider, supplying about 90% of all fixed network connections. Chorus was looking for an organisation with sufficient capability to be able to perform this scale of work. To meet this demand, Downer needed a smarter and faster way to work. Eagle Technology Account Manager Graeme Henderson worked with Downer to recommend a configuration of the ArcGIS suite to best fit their needs. This was the first GIS system implemented into Downer and represented a significant undertaking for the business. The project was given the codename ‘GRAIL’ and was implemented by Downer’s in-house experts in consultation with Eagle Technology. After the successful deployment of GRAIL, the Downer team were then keen to leverage the Enterprise Licence Agreement (ELA) with Eagle Technology, which gives the organisation unlimited access to the ArcGIS platform. 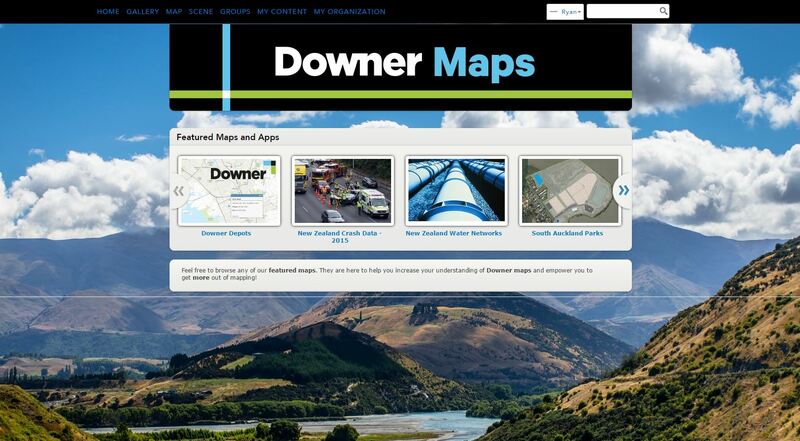 Downer wanted to investigate how GIS tools could provide value to other parts of the business. Their first target was Downer’s water services division. Downer provides complete water lifecycle solutions for municipal and industrial water users throughout New Zealand, ranging from the conceptual development of a project through design, construction, commissioning and optimisation. Downer also operates and maintains treatment, storage, pump station and network assets. Downer implemented ArcGIS Collector to provide greater capability to its field work force in water systems management. Maintenance technicians used GIS to plug into Downer’s work order systems and collect and update information in the field. This was a more mobile and accessible way to access work order information about the locations of jobs. Collector placed mapping in the hands of Downer’s field workforce to improve the accuracy and currency of its spatial data, enabling more timely and informed decisions. Using GIS tools has resulted in significant time savings in the field and in the office. In 2015 Downer implemented ArcGIS Operation Dashboard to monitor, track and assess deliveries, services, people, vehicles and other assets in its daily operations. Operation headquarters can monitor the status of its people and assets in real time. They can see where technicians are currently working and therefore make better decisions about which technicians are best located to go to the next job. It results in more effective deployment of resources and enables a faster response to emergency situations, e.g., burst water mains. ‘By viewing information spatially you can see if there are lots of minor events occurring in the same location, such several people reporting brown water in the same geographical area. Being able to visually identify trends could indicate a warning of a bigger event to come,’ says Ryan. Downer is New Zealand’s fourth emergency response behind police, fire and ambulance. It can respond with the appropriate capacity to big events. In the Wanganui floods in 2015, by using Operation Dashboard Downer was able to see on a map where its nearest vehicles were located and to quickly deploy resources. ‘In the Kaikoura earthquake in 2016 using Operation Dashboard we integrated information from the Wanganui District Council, the NZ Defence Force, NZTA and Earthquake Canterbury. Our planners and managers could then access the best and most recent information enabling them to assess how to deploy staff most efficiently and estimate the status of roads and how soon they could be reopened,’ says Ryan. Safety is a big focus for Downer, which has a zero harm health and safety policy. Downer can then undertake an investigation to discover why there’s a particular incident trend and take the appropriate actions to minimise future risks. The tools are intuitive to use. A major training programme has not been required. Downer implements the technology in-house by upskilling a few key people who then teach others. on-demand support, as well as some consulting resources when required.